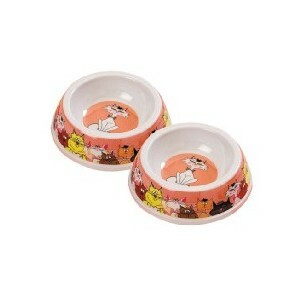 Small sized feeding dish for cats decorated with a fun cartoon cat design. 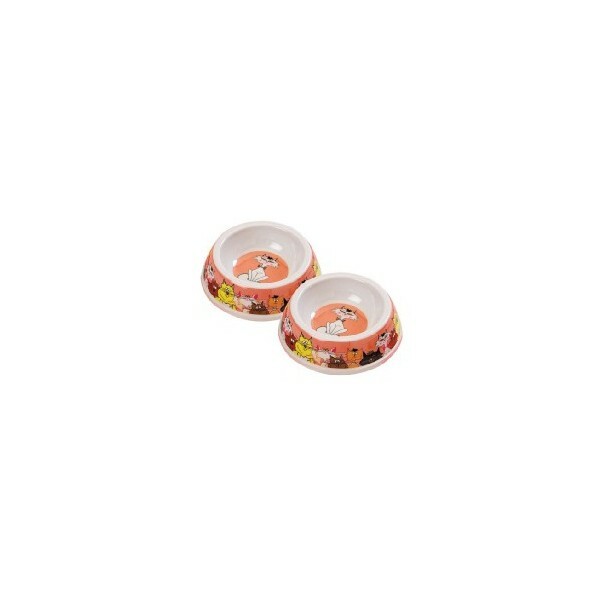 Made from Melamine. Dishwasher proof.